For the second time in a row, Ford's Ranger beat out Toyota's Hilux to claim the number 1 spot of the best selling vehicles in our overall list, and best selling bakkie. 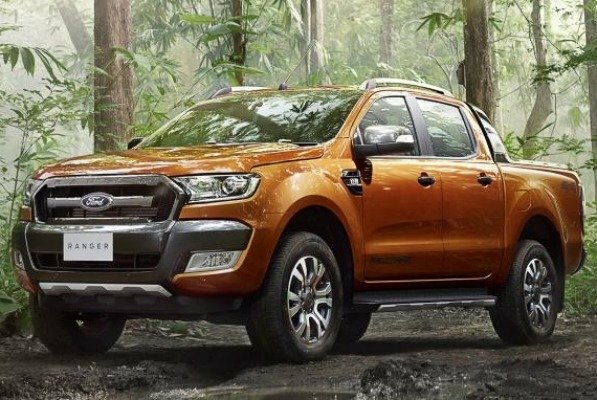 December 2014 was the first time that the Ranger outsold the Hilux, and it looks like this will become a more frequent scenario going forward. With less specials offered to individual car buyers at the dealerships, there will continue being challenges for South Africa's ambitions of more than 1 million sold cars by the end of this decade. For now, here where the top cars and bakkies sold in South Africa in May 2015 versus April 2015. For the first time, the Datsun Go cracked the top 10 passenger cars list in April, but has since fallen. The muted success comes even though there had been much debated about the car's safety record. At 406 units sold in April, the Go, which is manufactured by Nissan is proving to be a quick success for Nissan, compared to their 5 other passenger cars in the top 100, namely the Qashqai, X-Trail, Micra, Almera, and Juke, which sold combined units of 674 in May. Replacing the Go in May was the Chevrolet Spark which sold 754 units, and the biggest riser in our list from a mere 234 units sold in April. General Motors revealed a 4th generation Chevy Spark this past April, which should decrease the average prices of the current generation. The cars for sale reported above are only aggregate numbers and don't reveal individual models, and are undoubtedly distorted because Hyundai/Kia and recently Mercedes-Benz, do not reveal sales figures. Overall, the market for bakkies continues to be the only bright start, and more so the used bakkies for sale. As mentioned above, Ford Ranger remains the best selling bakkie in South Africa, and overall the most popular vehicle. Both the Ranger and Hilux (at position 2) are due for refreshes later in 2015, which means the race between the two can only intensify some more going forward. Leading up to the refreshes, many people may consider waiting for the new models instead of buying right now. This will increase the availability of these current bakkies and make for good second hand bakkies by then. The top ten selling bakkies sold increased units by an average 18.07% between May and April. Read about the best car buys in March or view the top used cars for sale on our website.